1. E. Balieu, Fundamental aspects in air filtration and purification by means of activated carbon filters, Gas Separation Technology, 90-136 (1990). 2. G.S. Bohart and E.Q. Adams, Some aspects of the behavior of charcoal with respect to chlorine, Journal of American Chemical Society, 42, 523-544 (1920). 3. A.E. Rodrigues, Elementos sobre a teoria da percolagao (Departamento de Engenharia Química, Universidade de Luanda, Luanda, 1974). 4. C.J. Danby, J.G. Davoud, D.H. Everett, C.N. Hinshelwood and R.M. Lodge, The kinetics of absorption of gases from an air stream by granular reagents, Journal of Chemical Society, 115, 918-934 (1946). 5. I.M. Klotz, The adsorption wave, Chemical Reviews, 39, 241-268 (1946). 6. L.A. Jonas and J.A. Rehrmann, The kinetics of adsorption of organo-phosphorus vapors from air mixtures by activated carbons, Carbon, 10, 657--663 (1972). 7. L.A. Jonas and J.A. Rehrmann, Predictive equations in gas adsorption kinetics, Carbon, 11, 59-64 (1973). 8. Y.H. Yoon and J.H. Nelson, Application of gas adsorption kinetics. I. 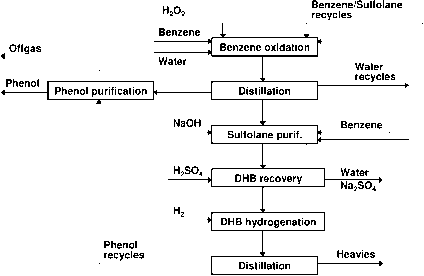 A theoretical model for respirator cartridge service life, American Industrial Hygiene Association Journal, 45, 509-516 (1984). 9. Y.H. Yoon and J.H. Nelson, Application of gas adsorption kinetics. II. A theoretical model for respirator cartridge service life and its practical applications, American Industrial Hygiene Association Journal, 45, 517-524 (1984). 10. B.W. Gamson, G. Thodos and O.A. Hougen, Heat, mass and momentum transfer in the flow of gases through granular solids, AIChE Journal, 39, 1-35 (1943). 11. G.O. Wood, and P. Lodewyckx, An extended equation for the rate coefficients for the adsorption of organic vapors and gases on activated carbons in air-purifying respirator canisters, American Industrial Hygiene Association Journal, 64, 646-650 (2003). 12. G.O. Wood and J.F. Stampfer, Adsorption rate coefficients for gases and vapors on activated carbons, Carbon, 31, 195-200 (1993). 13. O. Busmundrud, Vapour breakthrough in activated carbon beds, Carbon, 31, 279-286 (1993). 14. I. Nir, D. Kaplan and Y. Suzin, Extension of the Wheeler-Jonas model (WJM) for dynamic adsorption to pulsating flow, in Fundamentals of Adsorption 7, edited by K. Kaneko, H. Kanoh, and Y. Hanzawa (IK International, Chiba, 2001), pp. 833-840. 15. P. Lodewyckx and E.F. Vansant, The influence of humidity on the overall mass transfer coefficient of the Wheeler-Jonas equation, American Industrial Hygiene Association Journal, 61, 461-468 (2000). 16. P. Lodewyckx and E.F. Vansant, Estimating the overall mass transfer coefficient kv of the Wheeler-Jonas equation: a new and simple model, American Industrial Hygiene Association Journal, 61, 501-505 (2000). 17. P. Lodewyckx and L. Verhoeven, Using the modified Wheeler-Jones equation to describe the adsorption of inorganic molecules: chlorine, Carbon, 41, 1212-1219 (2003). 18. E.B. Sansone and L.A. Jonas, Prediction of activated carbon performance for carcinogenic vapors, American Industrial Hygiene Association Journal, 42, 688-691 (1981). 19. M. Molina-Sabio, V. Pérez and F. Rodríguez-Reinoso, Impregnation of activated carbon with chromium and copper salts: effects of porosity and metal content, Carbon, 32, 1259-1265 (1994). 20. E.M. Magee, The course of a reaction in a chromatographic column, Industrial and Engineering Chemistry Fundamentals, 2, 31-36 (1963). 21. F.E. Gore, Performance of chromatographic reactors in cyclic operation, Industrial and Engineering Chemistry Process Design and Development, 6, 10-16 (1967). 22. C. Chu and L.C. Tsang, Behavior of a chromatographic reactor, Industrial and Engineering Chemistry Process Design and Development, 10, 47-53 (1971). 23. D. Schweich, J. Villermaux and M. Sardin, An introduction to the nonlinear theory of adsorptive reactors, AIChE Journal, 26, 477-486 (1980). 24. J.M. Loureiro, C. Costa and A. Rodrigues, Dynamics of adsorptive reactors. I -Instantaneous nonlinear adsorption and finite zero order irreversible reaction, The Canadian Journal of Chemical Engineering, 68, 127-138 (1990). 25. J.M. Loureiro, C.A. Costa and A.E. Rodrigues, Propagation of Concentration Waves in Fixed-bed Adsorptive Reactors, The Chemical Engineering Journal, 27, 135-148 (1983). 26. D.K. Friday, The breakthrough behavior of a light gas in a fixed-bed adsorptive reactor, AIChE Journal Symposium Series, 84, 89-93 (1988). 27. L.A. Graceffo, S.G. Chatterjee, H. Moon and C. Tien, A model for the retention of toxic gases by impregnated carbon, Carbon, 27, 441-456 (1989). 28. S.G. Chatterjee and C. Tien, Retention of toxic gases by modified carbon fixed beds, Carbon, 28, 839-848 (1990). 29. S.G. Chatterjee and C. Tien, Adsorption with chemical reaction in a single modified-carbon pellet, Chemical Engineering Science, 44, 2283-2294 (1989). 30. R.C. Soares, J.M. Loureiro, C. Sereno and A.E. Rodrigues, Modeling and simulation of carbon mask adsorptive reactors, Industrial and Engineering Chemistry Research, 34, 2762-2768 (1995). 31. A.M. Ribeiro and J.M. Loureiro, Simulation of toxic gases and vapours removal by activated carbon filters, Chemical Engineering Science, 57, 1621-1626 (2002). 32. A.M. Ribeiro, Filtros de carvao activado impregnado. Sua aplicajao da remojao de gases e vapores tóxicos por adsorjao e reacjao química simultáneas., Ph.D. thesis, FEUP, Universidade do Porto, Portugal, 2006.